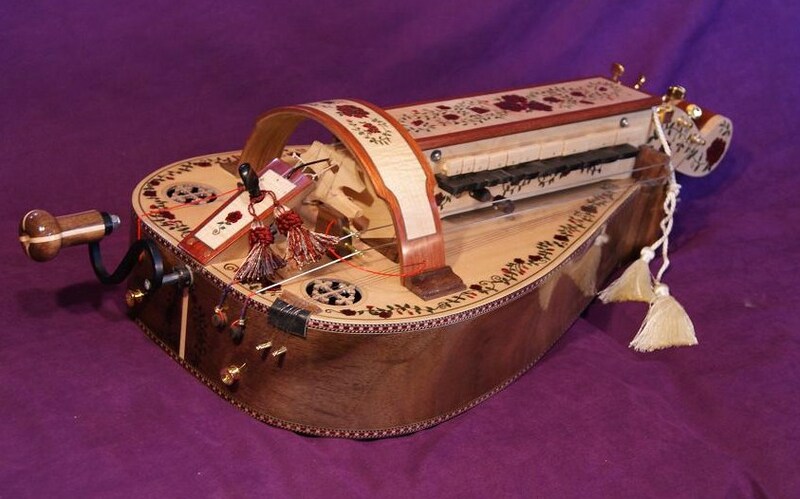 Here's a few examples of custom instruments we've created in the past. We've done everything from Viking art to peace sign rosettes, and can work with you to create a custom look to fit your personality as well. Contact us for a free consultation. Anwyn painted this exquisite art for a customer who wanted our Rose art package, but with custom soundboard decoration for a Russian gypsy feel. 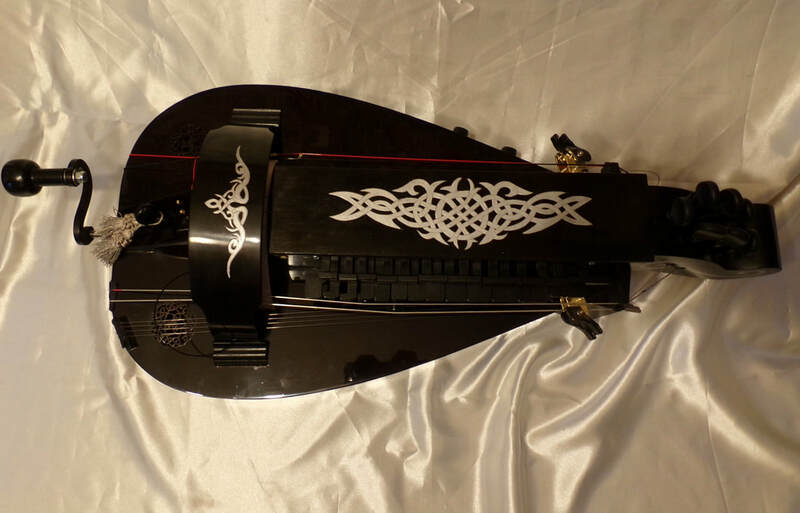 Custom Hurdy Gurdy with a darker theme! Black Gloss Finish, Skull Headsock, and more! 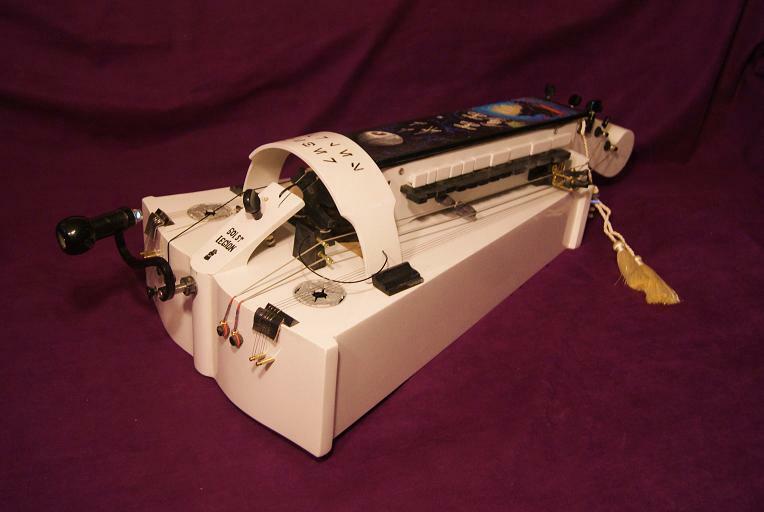 This is the instrument we made for the Northbrook symphony orchestra performance (Chicago). Walnut body, Sitka spruce soundboard, bloodwood & maple inlays, with our 'Rose' soundboard art package. ​with iridescent moon rosettes. 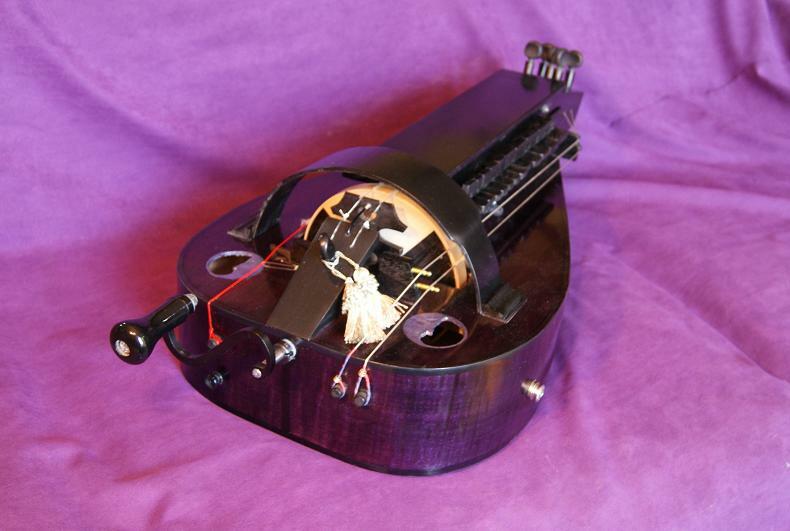 This one is an electro-acoustic instrument. Curly maple body with tinted lacquer color treatment, dragon headstock & Celtic art. 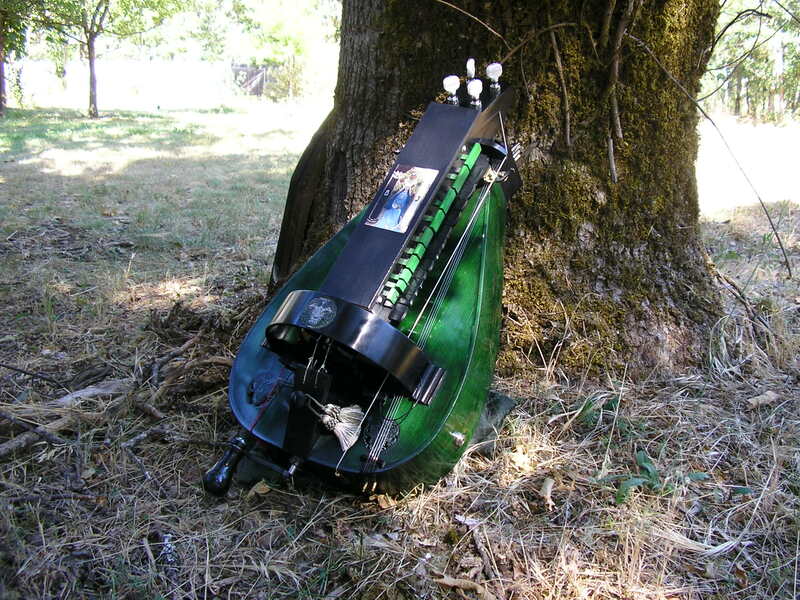 ​The customer wanted an instrument to match his stormtrooper persona, and the dark side!